This simple use of a sloped edge with tan borders and a teal bottom creates the illusion of a beach for those long days at sea. 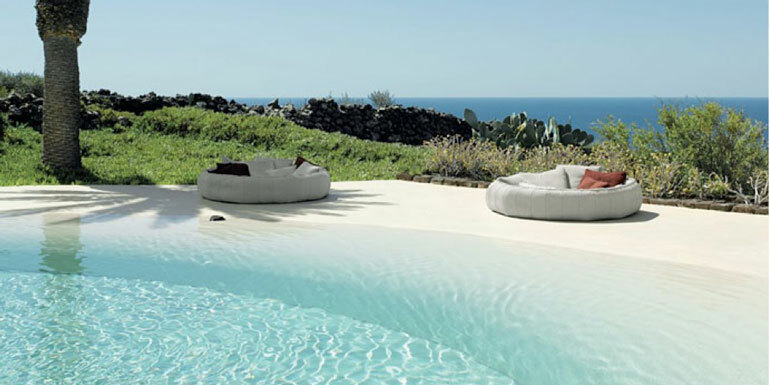 It’s not the real thing, but it gives off a much classier vibe than your standard inground pool. 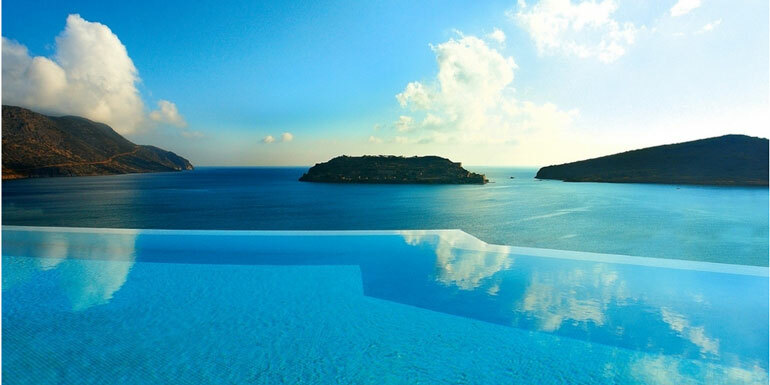 Ever dreamed of having a cruise ship pool all to yourself? 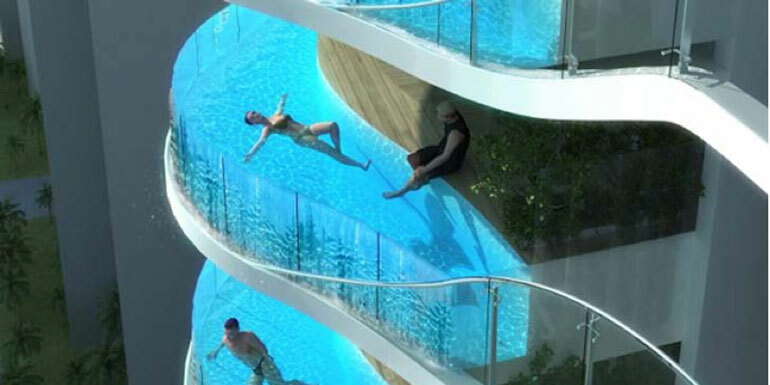 Private balcony pools could make that a dream a reality, if only for the cruisers willing to shell out serious cash for a high-end suite. We thought that rough seas would make this design impractical, but that didn't stop Celebrity from adding it to suites on their newest ship, Celebrity Edge. 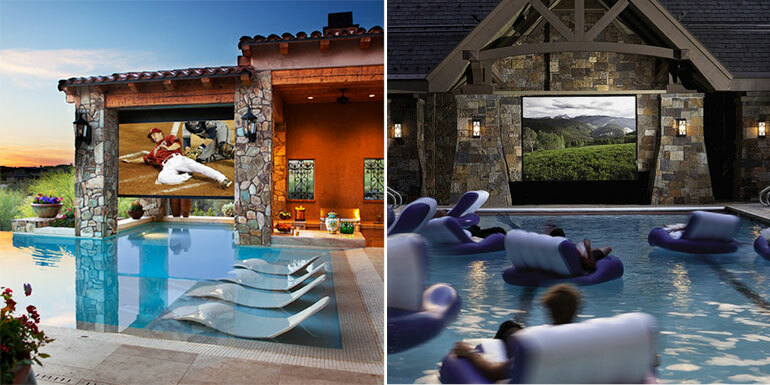 Plenty of ships have huge TV screens on their lido decks, so why not create some pools designed from the ground up to serve as movie theater seating? First movie on the list: Jaws. How amazing would it be to float around the entire perimeter of ship without having to take a single step? 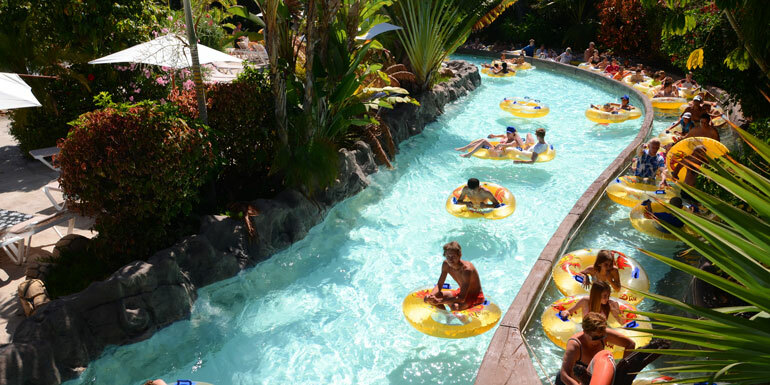 Think of it like a Venetian canal for cruisers, with inner tubes serving as the gondola. Space would obviously make this hard to accomplish, but does every cruise ship really need a jogging track? We fantasize about being able to swim right up to the edge of the ship for a fully panoramic view of a caribbean island at sunset. 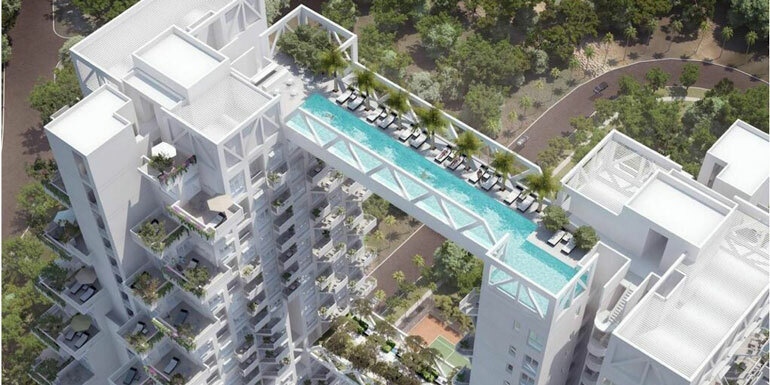 Some newer ships like those from Viking Ocean Cruises are being designed with infinity pools, so that gives us hope. It’s not always possible to find a quiet getaway on a cruise ship. Sometimes, the adult-only areas intended for peaceful relaxation are so close to the other areas of the ship that the sound of screaming children (or inebriated adults) make it impossible to slip into a state of blissful tranquility. Our solution? 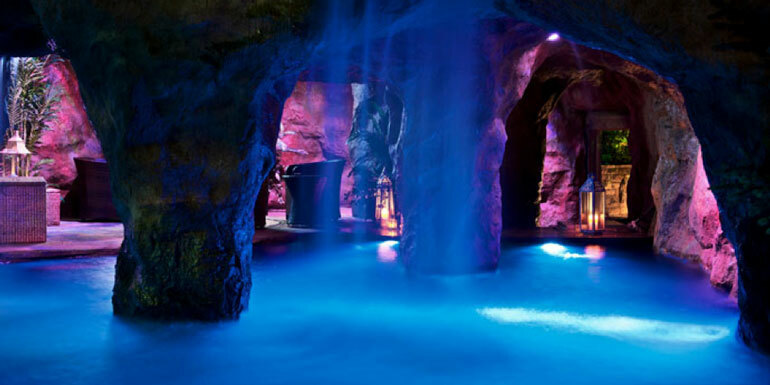 Indoor, grotto-style pools with soundproof walls. Ok, we’re really reaching with this one, but that doesn’t mean it’s not on our wish list. 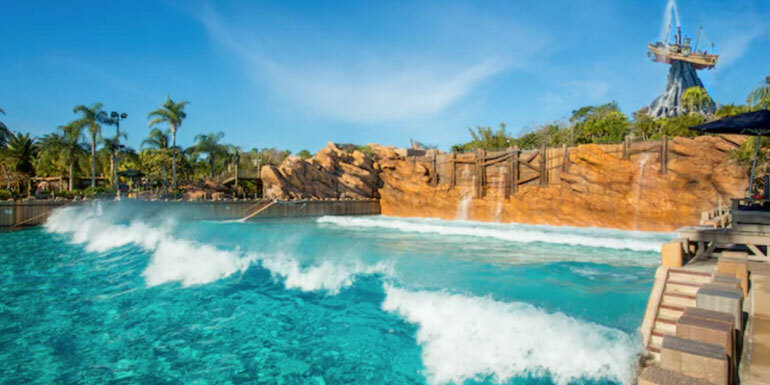 Kids would flock to an onboard wave pool, so Disney, we’re looking at you for this one. Who hasn’t dreamed of a relaxing late-night swim in fluorescent water while everyone else is catching a show or already asleep? 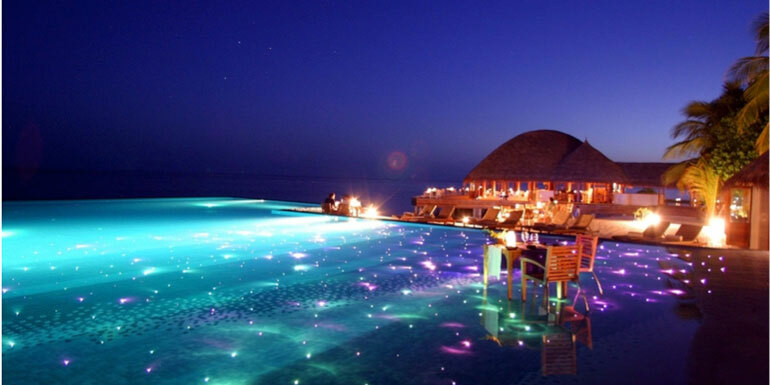 Plus, a glowing pool would be a beautiful and futuristic centerpiece to any lido deck. 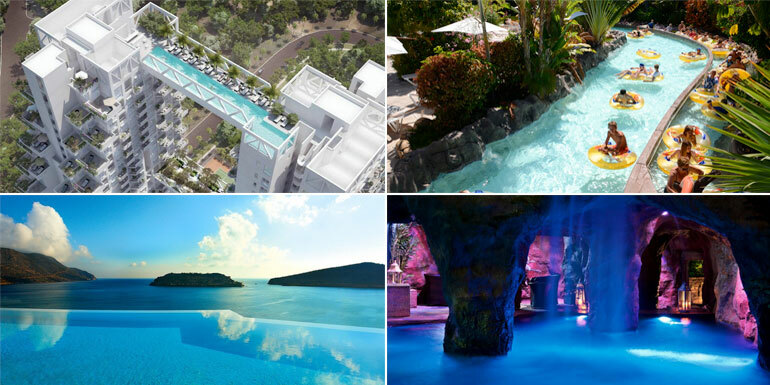 What kind of pool is on your dream cruise ship?